June 12, 2012 — The Center for Disease Control and Prevention recently reported that drowning rates have declined in the last decade, but swimmers should still take necessary precautions in and around the pool. As the weather warms up, many people will be taking that first dip in the pool. But before you do, it’s important to take certain precautions in order to not only prevent drowning, but to keep everyone safe in the pool. In fact, notes the CDC, “Each year an average of 3,880 persons were victims of fatal drowning and an estimated 5,789 persons were treated in U.S. hospital EDs [emergency departments] for nonfatal drowning.” Staying aware and making sure that everyone knows the rules of the pool can make a world of difference. The CDC ranks drowning as fifth among the leading causes of unintentional injury death. Many of those deaths are children under 14. In fact, “Death rates and nonfatal injury rates were highest among children aged ≤4 years; these children most commonly drowned in swimming pools.” Tragedies like this accident in Georgia may be averted by taking a number of steps, the first of which is to be aware your own swimming ability and those of the people around you. Also, make sure that children are under constant supervision and either remain in shallow water or use a flotation device. If an incident occurs, knowing how to perform CPR can prevent deaths if administered in a timely fashion. Post signs and regulate pool safety to ensure unsupervised children do not enter the pool area and swimmers are aware of the depth and rules of the pool. Making the rules of the pool clear can also help prevent disease from spreading in the pool. Keep swimmers from contaminating a pool by prohibiting open wounds and sores and properly maintaining the cleanliness of water. Children in diapers should wear appropriate swimming diapers. While water should be cleaned and maintained with chemical treatments, it should be checked regularly for safety and proper levels. While clear rules can prevent the spread of waterborne disease, marking the depth of the water and posting whether it is safe to dive can prevent injury. Most pools have a designated diving area or prohibit diving all together. Diving into shallow water can be deadly, and diving in a crowded pool is never safe. Make sure your pool has clear signs prohibiting diving in depths under 6 feet and notify all swimmers of acceptable diving areas. Before allowing swimmers in your pool, be sure to know if your pool has drains. 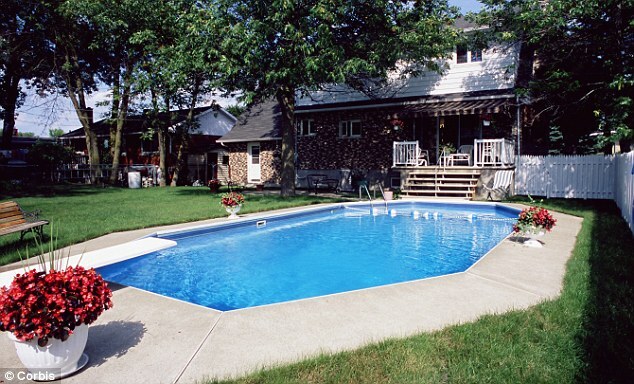 Older pools have large drains that act as vacuums and can be dangerous if a swimmer gets too close. Always know where the emergency shutoff switch is, and when swimmers are present, make sure that they are under constant supervision. Constant supervision may help against rough play and inappropriate behavior, which can be both distracting and dangerous. Swimming pools should be enjoyed without putting anyone’s safety at risk, and enforc strict conduct rules around pool areas and in the pool may prevent injury. Be especially aware of swimmers who are not participating in distracting behavior, as they could be the ones in need of help. Education on the dangers of swimming pools is the best way to prevent injuries and accidents. Remember to post your pool rules clearly, and always enforce all of your rules in order to keep everyone safe.